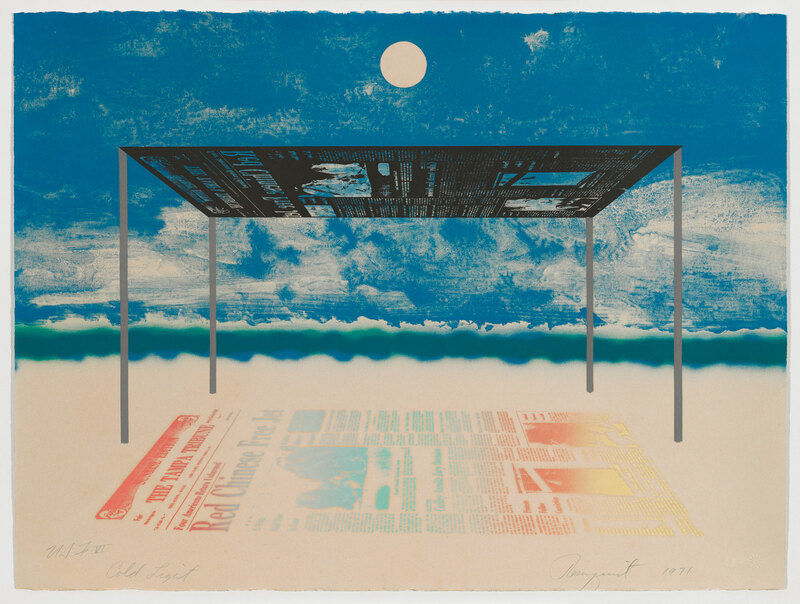 Aquatint printed in halves in two runs from two copper plates on a single piece of folded paper (paper unfolded once for framing). 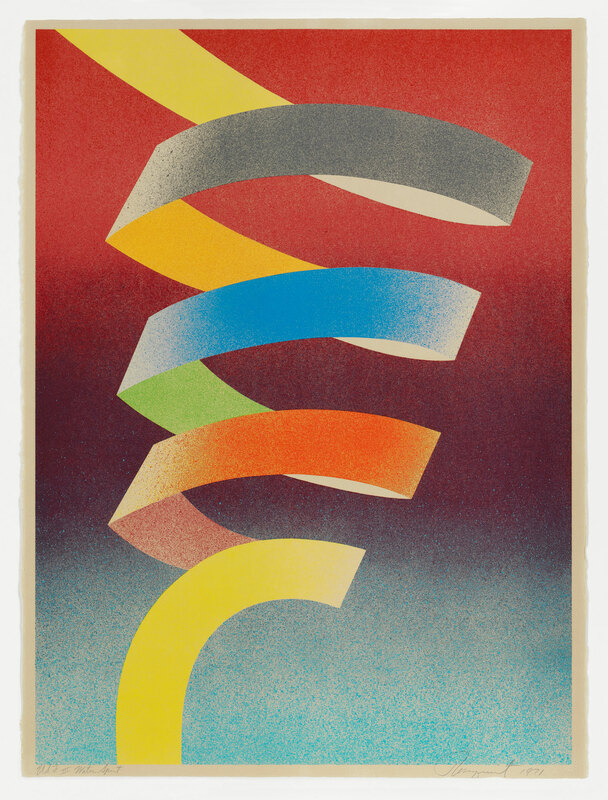 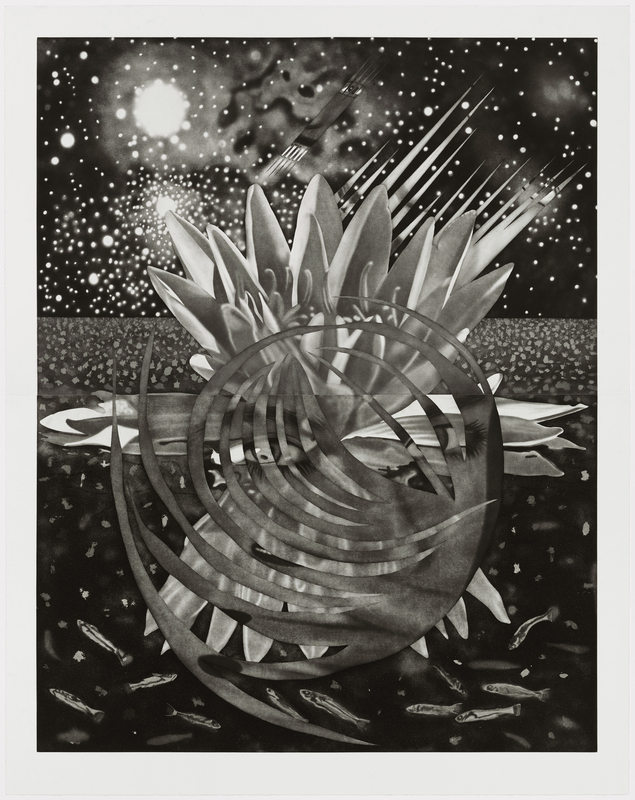 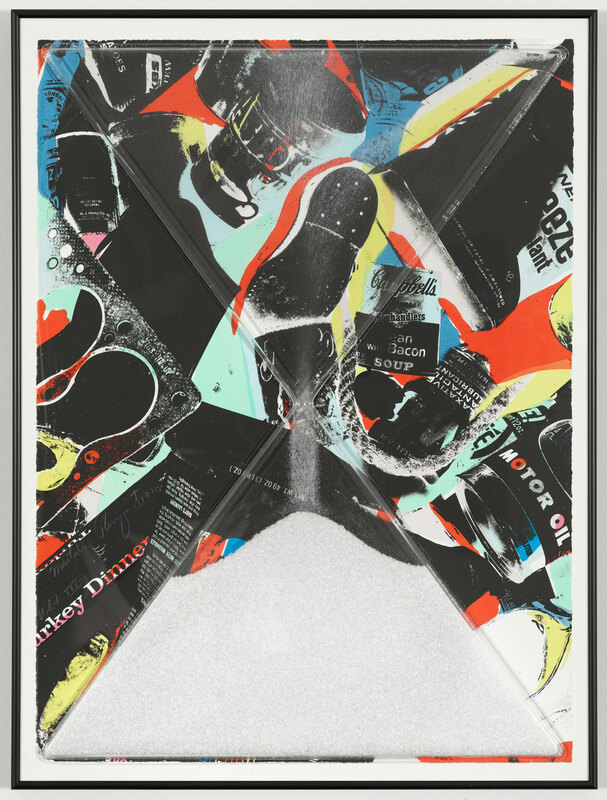 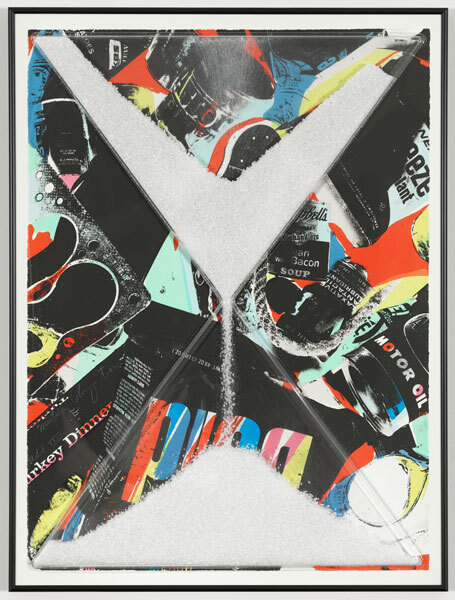 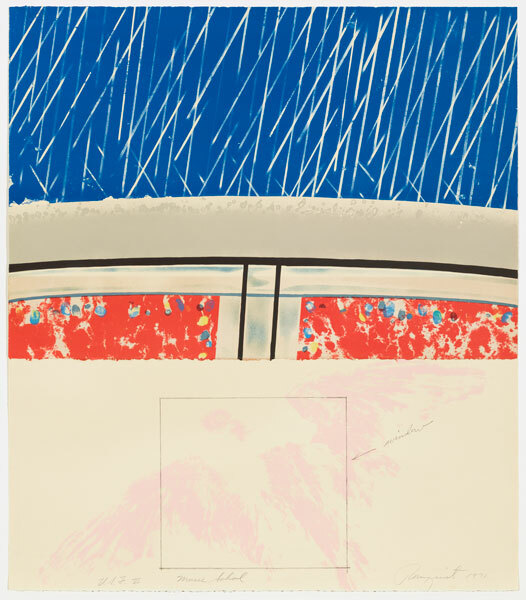 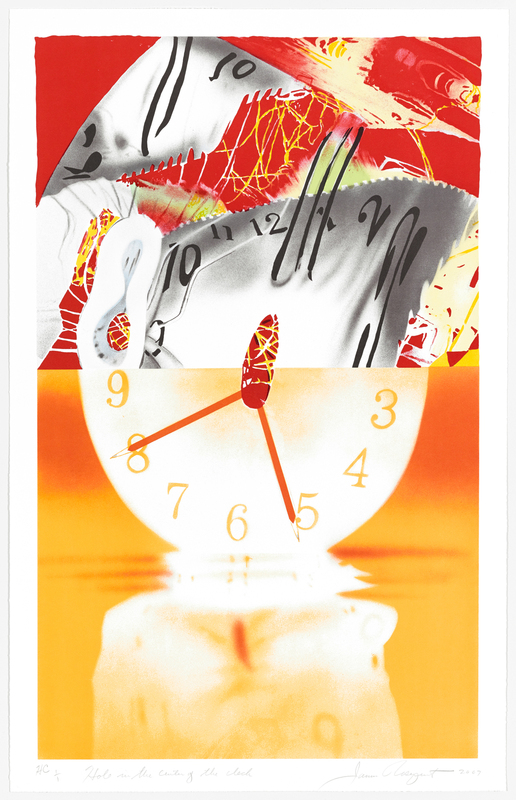 Over his long career, artist James Rosenquist (1933-2017) has created an important body of works that explore new boundaries in printmaking. 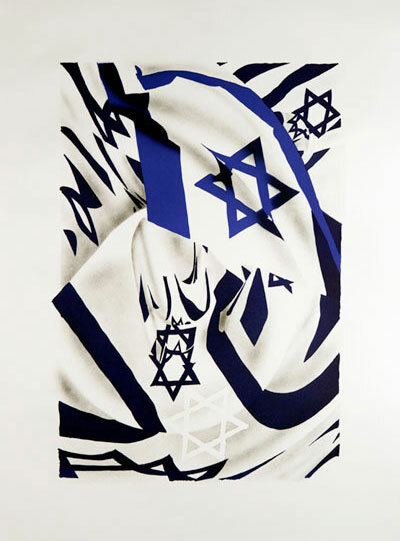 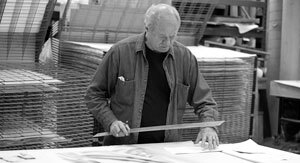 The artist's first residency at Graphicstudio was in 1971, and he created thirty-seven works in collaboration with the atelier in his lifetime. 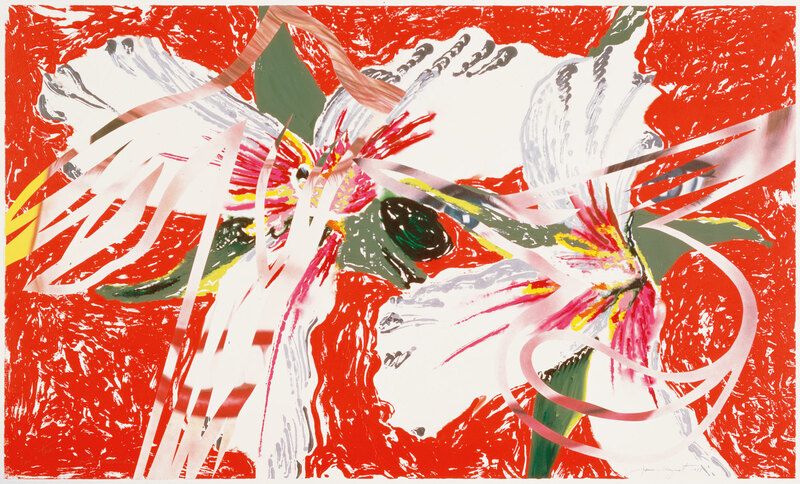 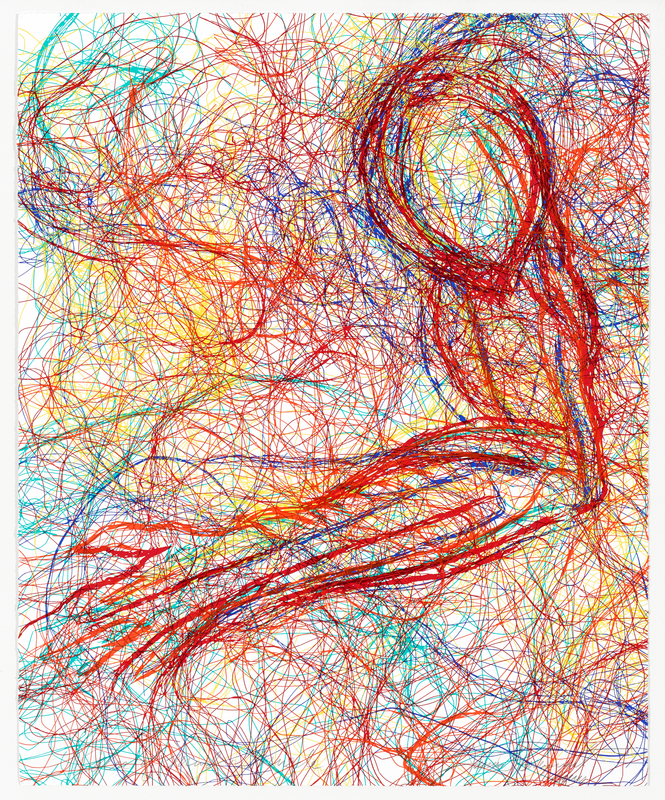 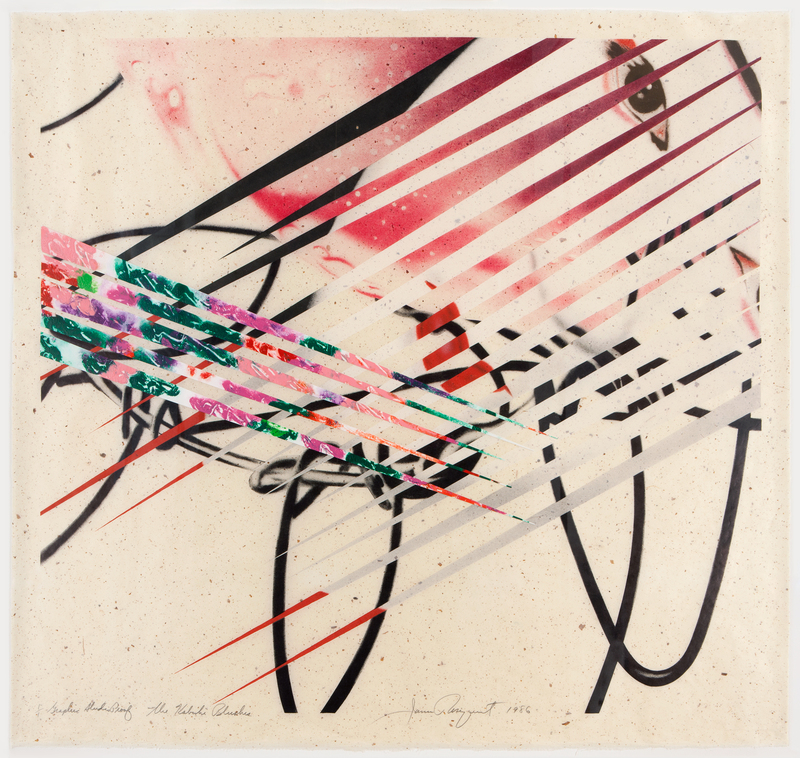 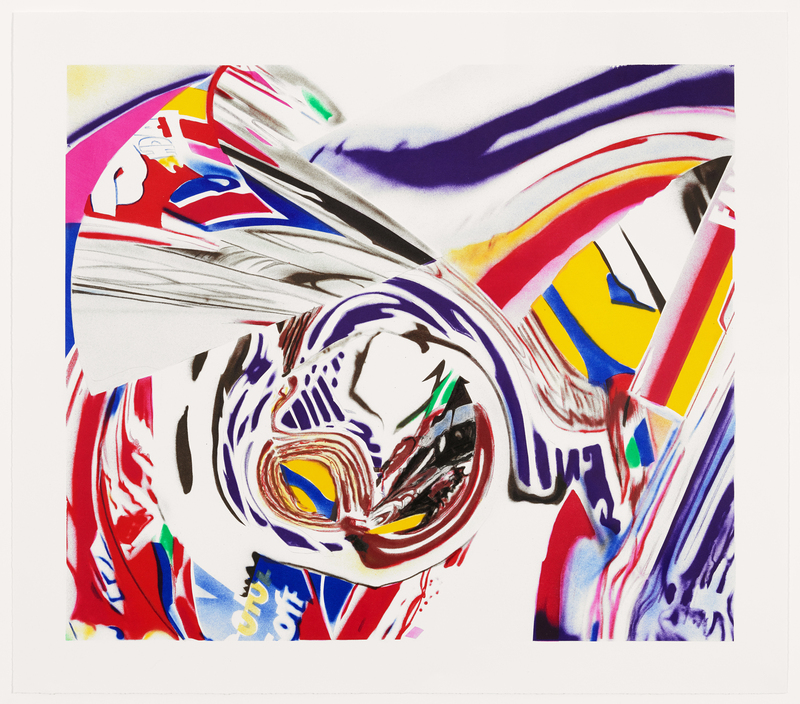 In the 1980s, Rosenquist created a series of large scale mixed media prints including The Kabuki Blushes, Crosshatch and Mutation, Flowers and Females, Shriek, and Sister Shrieks. These prints set a textured, loose brushwork of painting against a smooth, tight lithographic surface. 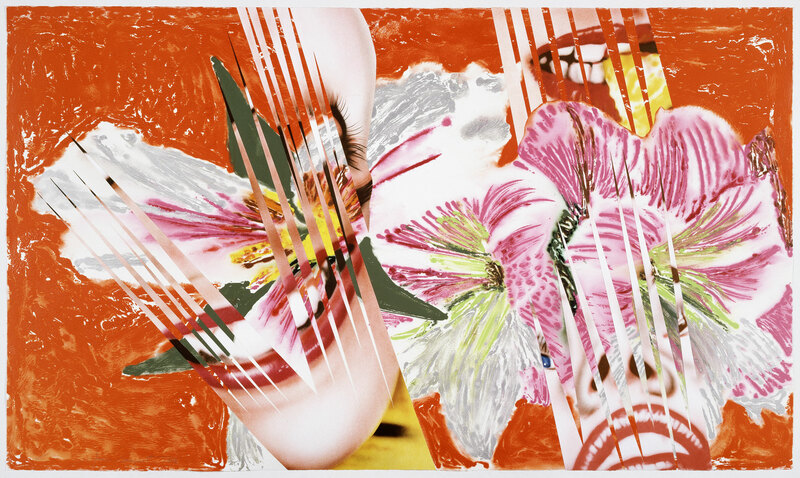 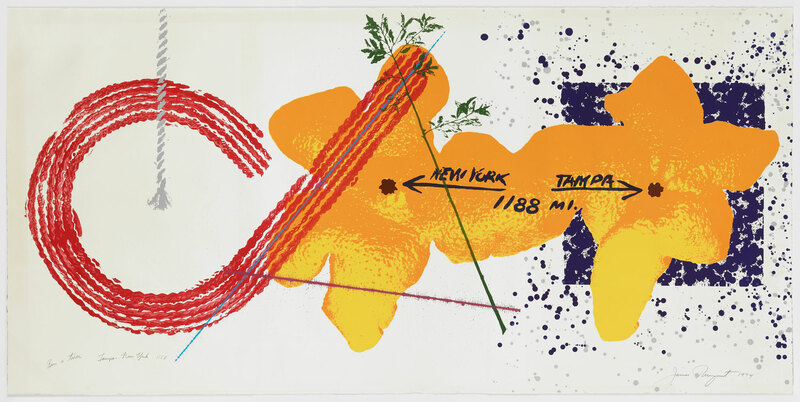 Rosenquist hand-painted images of flowers onto Plexiglas plates to make monoprints, and then created lithographic prints from his airbrushed images of women's faces. 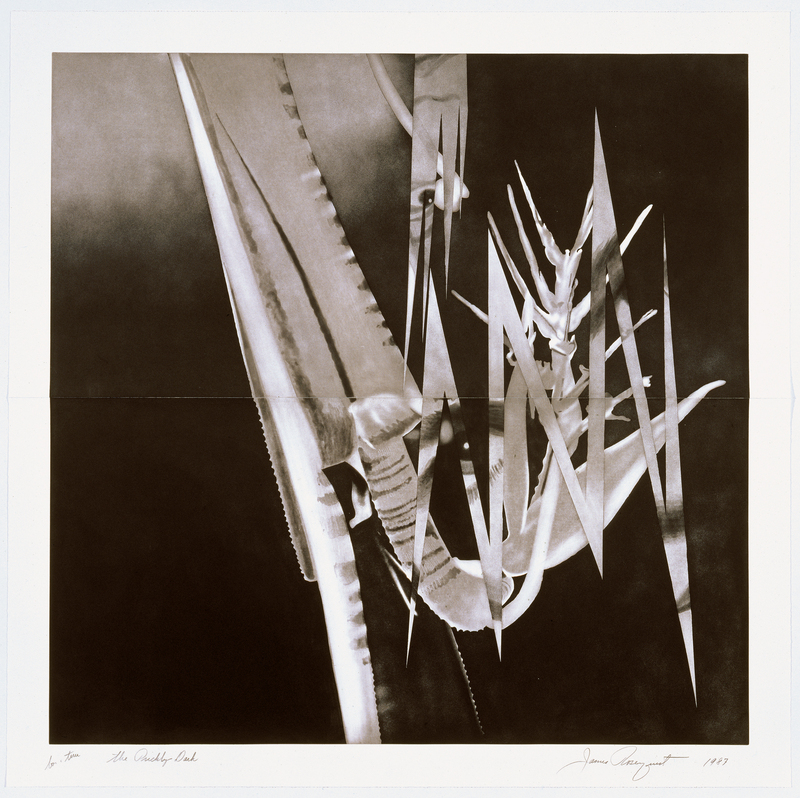 Finally, the lithographs were slashed into slivers and collaged onto the monoprints. 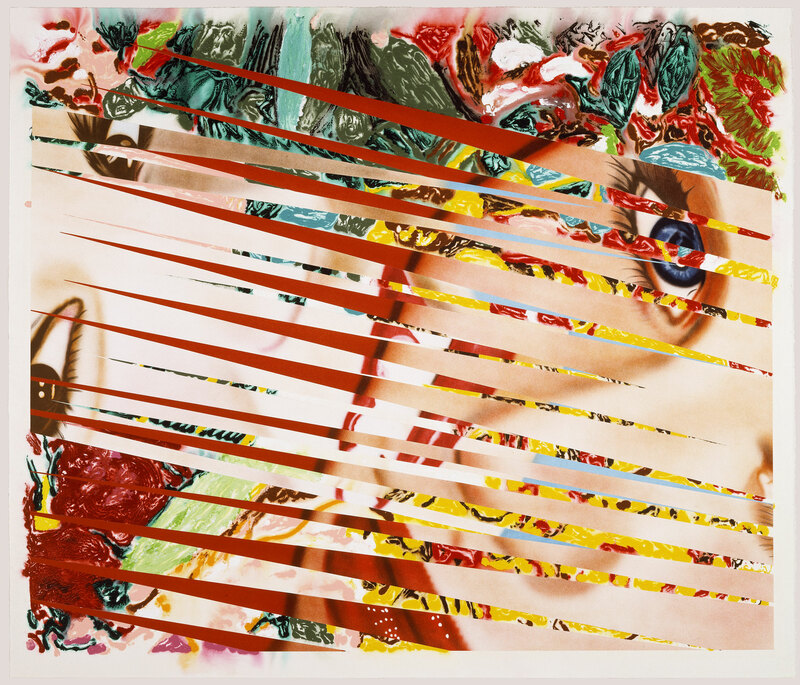 The contrasting techniques and the clashing imagery of flowers and faces create high drama in these big, vibrantly colored prints.